Over the course of July I’ve been writing daily about membership sites. Specifically I’ve been reviewing membership plugins. But before I get into the review today, I want to remind you of two warnings I regularly share with people. Maybe you’ve heard me say these things, but they still are worth repeating. Here is warning number one: Don’t confuse a membership with a subscription. One is a sign of belonging, the other is a financial instrument. Don’t confuse a membership with a subscription. Belonging isn’t a financial instrument. Here is warning number two: Don’t confuse building a membership site & building a community. One is focused on technology, the other is about people. Don’t confuse building membership sites with communities. Technology isn’t people. I could write long blog posts about each of these tips, but this is a review of Ultimate Member, so we’ll get going. 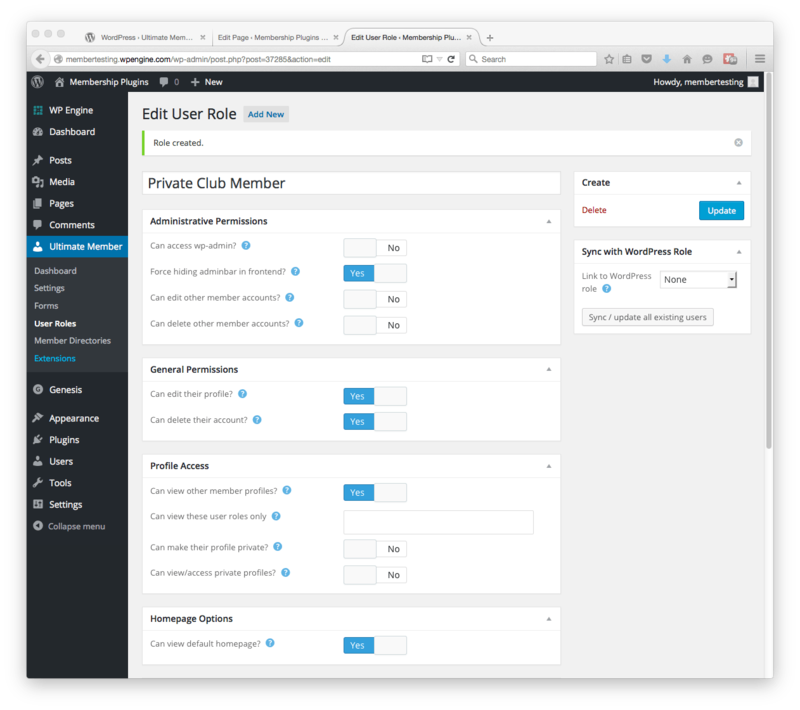 The reason I bring it up is because the developers behind Ultimate Member clearly “get it.” In short, they’ve built a plugin to help you build a community. In short, the developers of Ultimate Member have built a plugin to help you build a community. 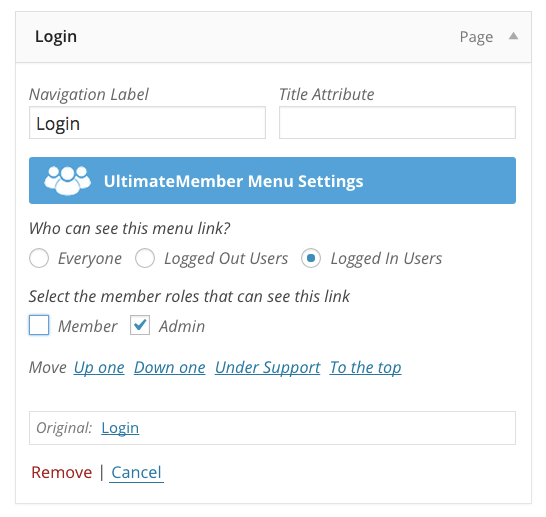 In case you didn’t know, this review of Ultimate Member is the 13th membership plugin reviewed. Some people showing up to this site for the first time may not even know that there were 13. And the truth is that there are more than 31. But since July has only 31 days, I figured that would shape my list. I told you above that Ultimate Member looks and feels like it was designed to create and develop communities. So while it does allow you to protect content, I don’t feel like that’s it’s most prominent feature. If you have ever talked to anyone about building a membership, they often ask for two features. First, they want a page that is unique to each member that the site owner can constantly edit. This is a coaching/consultant kind of feature. The second is the need for a directory of members. This is a community kind of feature. I’ve told you that Private Content can create the personal page. And I’ve told you that Ultimate Member can create directories. But Ultimate member is more than just directory stuff. When I run the product thru my list of features, I do so to evaluate what they focus on. I never think a plugin should have ALL THE FEATURES. That’s a support nightmare waiting to happen. The trick for me is to see which features a plugin supports so I know where their focus is. I never think a plugin should have ALL THE FEATURES. That’s a support nightmare waiting to happen. So I went over my long spreadsheet of features (no, you can’t have it), and you’ll see that the bulk of the features are in a category I call “community features.” I don’t consider that a mistake or just chance. It’s why I say, the folks behind this plugin are focused on helping you build a community. When you look at the list, it’s pretty easy to see where the focus is, like I said. They’re trying to help you build a community. And they’re doing a great job of it. If that’s the scope of what you need. And if WooCommerce is your choice of eCommerce and their gateways are what you need, then you might be golden. There are some things that Ultimate Member does that are awesome and you should know about them. And there are a couple things that they don’t do, that I think are also worth noting. There is no way to protect posts via the categories they’re in. It’s post by post. On a large site this makes it almost impossible to migrate to Ultimate Member because of how much work that means. This feels a bit like an oversight to be because it’s not a huge feature to build. But if your focus is elsewhere, I see how it slips by. Likely it will be addressed soon. When I was creating this role, I was wishing I could define which categories were protected and available to this user role. There seems to be a bit of snag in keeping MailChimp and user roles synced. I’ll admit, I was working on this demo very late at night so maybe it was user error, but when I change a user from one role to another, and I go to look at my MailChimp email lists, I’m not seeing them updated. Again, likely a small sync bug (or maybe user error), but kind of a big deal for folks a) paying for this extension, and b) planning to use it in live environments where you really need to keep those relationships in sync. The last is what I’ve mentioned already. The only way to generate revenue on a UM site is with WooCommerce. That’s a lot of plugin to install and configure if you just want PayPal or Stripe gateway support. But let’s get to the good news now that that’s out of the way. There may not be a faster and cleaner way to create member directories. If you hadn’t already seen my post on this, it’s worth reviewing because the speed at which I can create a member directory is really nice. Many sites need this kind of behavior – especially community sites like a site for Parents of the Soccer Team, or Parents of Classroom 112. Those sites don’t need to charge. They simply need registration (with some extra fields), some protected pages, and a directory. If that’s a site you’re building, this is perfect for you. Ultimate Member is perfect for sites needing registration, protected pages & a directory. The dynamic and role-based menu feature is clean and a great way to do things. I’ve written already a bit about dynamic menus and sometimes plugins make it a lot of work. But Ultimate Member makes this really easy. In short, depending on the site you’re building, UM may be everything you ever need or want. As I say with every score I put down, the score is based on my own criteria which I’ve defined while reviewing another plugin (and you can read more about). More importantly, the reason I write these reviews is so that you can look at the details of the review (not just the score) and see if it delivers what YOU need. Because that’s what matters. So even though Ultimate Member doesn’t score well here, it’s a great plugin if it does what you need it to do. Make sense?